Lev Leviev has sold 50 percent of Africa-Israel Investments' fully-owned subsidiary, Africa-Israel Hotels, to a Belgian investors' group. A group of Belgian investors has snapped up Lev Leviev’s sale of 50 percent of Africa-Israel Investments’ fully-owned subsidiary, Africa-Israel Hotels. The group, led by Tony Elisha, agreed to pay NIS 180 million, a deal that prompted heavy trading Wednesday and raised Africa-Israel’s share price by 5.76 percent. According to the company, the pre-tax income on the transaction could reach NIS 210 million. Elisha’s group also agreed to purchase half of Leviev’s NIS 36 million owner’s loan to the subsidiary over the next three years. 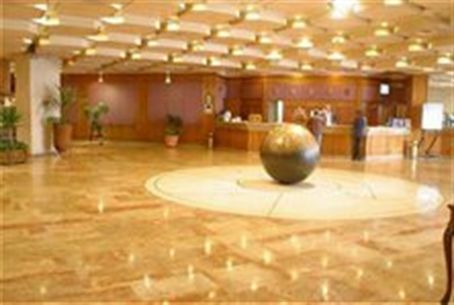 Africa-Israel holds the Crowne Plaza and Holiday Inn franchise in Israel and operates 10 hotels, including facilities in Tel Aviv, Jerusalem and Eilat. The company also owns and operates five shopping malls and three science and industrial parks and office towers. In addition, the firm built Israel’s first prison, Highway 431, student dormitories at the Hebrew University in Jerusalem and the Tel Aviv Light Railway. The company also sold its 37.5 percent share of Derech Eretz, the operator of Israel’s recently-opened super highway, Route 6, this past August, earning NIS 475 million in the transaction. In December 2009 the company’s assets were valued at NIS 1.08 billion, after a loss of NIS 71 million on revenues of NIS 389 million. The deal, expected to be completed in December, is seen as exceptionally important in refurbishing the company’s image in the eyes of the public and its investors.